While many people are familiar with Rachel Nichols as an actress, only very few people know that she actually got her start as a model. The actress began modeling while still in university. After building a successful career in that field, she transitioned into acting a few years later. Since then, she has built an impressive body of work in the entertainment industry. Rachel Nichols had a humble professional beginning with a small role in Autumn In New York (2000). Luckily, she began to land more substantial roles with her appearances in Alias, Dumb and Dumberer: When Harry Met Lloyd, The Amityville Horror, The Sisterhood Of The Travelling Pants 2 and G.I Joe: Rise of Cobra. 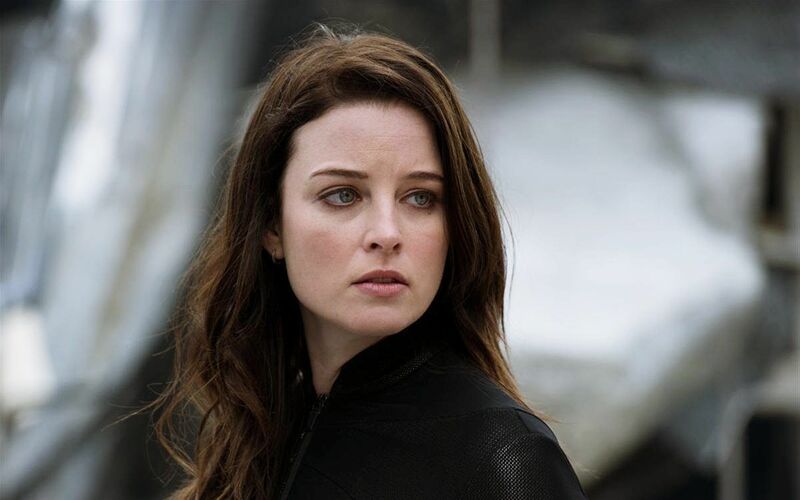 The actress was then able to leverage her initial success into more substantial roles, landing the lead role in the television series Continuum. Rachel Emily Nichols was born in Augusta, Maine on the 8th of January, 1980 to Jim and Alison Nichols. Her father, Jim, was a school teacher. During her younger years, Rachel was an athlete when she was a student at Cony High School, competing in high jump. Though Rachel’s beauty is definitely recognized, the actress has stated that it hasn’t always been the case. She was described as a late bloom who had long arms and legs. The awkward teenager had to take many years of highly structured dance classes to be able to gain control of her body, which allowed to later become a model. As a model, Rachel Nichols worked for internationally recognized brands like L’Oréal, Guess, Abercrombie & Fitch and several others. She even hosted quite a few MTV specials. However, with the success of her career as an actress, Rachel has admitted that she no longer models and has no plans to return to it. After high school, Rachel enrolled at the prestigious Columbia University where she studied Economics and Psychology. She also studied drama and eventually graduated in 2003 with an impressive double major in Math and Economics. Rachel Nichols is presently married to Michael Kershaw, a real estate developer. The couple got engaged in 2013 and eventually tied the knot in September 2017. For all intents and purposes, they still seem happily married and are blissfully in love after many years together as a couple. After high school, in 1998, Rachel enrolled at Columbia University with the dream of working on Wall Street. However, she was noticed by a modeling agent who appreciated her beauty and invited her for a job in Paris. This led to a career in modeling through which she was able to pay her university tuition and take care of her other basic needs. Before Rachel Nichols married Michael Kershaw, she was once married to Scott Stuber, who is a film producer. The two got married on the 26th of July, 2008 and were working on building a home in Cabo San Lucas. Sadly, the marriage came to an end in February 2009. Merely seven months after their wedding. The pair stated irreconcilable differences as the cause of their separation. One of Rachel’s more prominent works is her role as Scarlett in G. I Joe: Rise Of Cobra opposite Channing Tatum, Joseph Gordon Levitt and Marlon Wayans. It was later revealed that Rachel was the first choice for the role. Rachel Nichols reportedly has a total net worth of ‎$10 million, this is as a result of building a very successful career over the years. The actress who started acting in 2000 has appeared in several films and movies including The Amityville Horror, Conan the Barbarian, Inside, Alex Cross, The Librarians, Criminal Minds, Chicago Fire, Raze and Star Trek – the 2009 movie. Beyond this, Rachel was also the lead star on a successful science fiction show – Continuum, where she played Kiera Cameron, a law enforcement officer from 2077 who is accidentally sent back in time to our present day era where she becomes the only one able to stop a terrorist group, from the future, Liber8. Rachels Nichols is in amazing shape, which is to be expected when one takes into the account the physical demands of the roles she seems to favor. Her height is listed as 5 ft 10 inches while her weight is recorded to be 59kgs. Her other body measurements are 34C-24-36 in for bust, waist, and hips. To maintain her figure, she works out six days a week favoring pilates and cardio.